On Wednesday august 10, Patras police conducted another operation around the port in order to arrest sans-papiers immigrants. The search focused on the makeshift camps set up by the migrants arriving in Patras, where many live in inhumane conditions as they wait for an opportunity to enter a boat to Italy. Police detained a total of 49 immigrants and arrested 47 of them because they didn’t possess legal documents. This is the third such operation by Patras police in the last few days. The two previous searches were conducted in the railway depot at Agios Andreas near the port, where dozens of immigrants were caught. After the operations were complete, the Greek Railway Organisation (OSE) removed the old, empty carriages that immigrants had been using as shelters. In recent days, a wave of police terror has swept the port town of Igoumenitsa on the Ionian sea side of Greece. This is one of the main gateways to Italy and immigrants o try there to get into ferries to Italy. This is the town where one year ago the Kurd refugee from Iraq Arivan Abdullah Osman had been severly injured on the 3rd of April at Igoumenitsa port by Port police men – he died in hospital a couple of months after. Zero tolerance terror was implemented once more against sans papiers of the area. As athens indymedia users report, in the last days of January police operation tried to clear up the makeshift nylon huts immigrants had to protect themselves from the harsh winter conditions. The police not only destroyed the huts but also burnt people’s clothes and blankets. After the barbarity was made known people of the area and near cities provided immigrants with clothes and necessary things, but this was not the end of the story. The police, some days after the destruction of the settlement, raided once more towns’ spots where immigrants gather, they beat and arrested dozens, who were then kept in detention cells of the police stations, under “Guantanamo” conditions. There has been rumour that gunshots could be heard during the operations. A solidarity committee has been formed in the town and is working on practical solidarity issues. Their next meeting is on Thursday, February 6, at the Igoumenitsa Technical University premises. Nothing has changed in the Aegean Sea. The journey of hope(lessness) for those searching for a future at the brink of despair ends in sorrow. The lifeless bodies of six Palestinian children aged between 2 and 12 wash up on the shore. Over a week ago 19 Palestinians, of which more than half were children, were crammed into a small boat in the town of Turgutreis in Bodrum to head to the Greek Island of Kos. They brought nothing along with them except their dreams. But death interfered in the hopes of six children after the boat overturned 500 meters from the coast. The tragedy was mentioned as a disaster that had occurred between the two Aegean coasts, while the deaths of immigrants, which has come to be perceived as commonplace, were simply just another number for statistics. The invisibility of those who escape the difficult conditions in their homeland with the hope of establishing a normal life, even when they die, leads to the question of whether contemporary human rights are applied to everyone. The Aegean Sea is the first border between the conflict-prone destitute East and South and wealthy Europe. The two coastlines of the Aegean, which is the scene of frequent journey-to-hope disasters, resemble two completely different worlds. But more often than not dreams end up drowning in the dark Aegean waters before passengers are able to reach the other world. 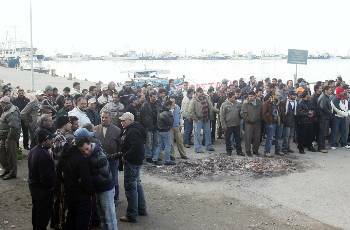 The biggest disaster in this sea was the accident that killed 70 people near Seferihisar on Dec. 10, 2007. The tragedy coincided with World Human Rights Day, and dozens of hopeful passengers were not able to see the sun on that day. Over the past decades, hundreds and thousands of immigrants have been killed in the Aegean, and more death bells will toll for immigrants in the future. 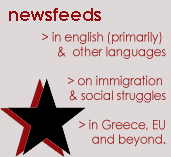 As a result of Greece’s inhuman practices and nationalist chauvinism, the problem stopped being a human rights problem and became seen as a massive influx of immigrants. Turkey’s indifferent attitude and tendency to blame others resulted in turning the incidents in the Aegean into a dirty epic war. The fact that the victims and the people being killed are humans is not even mentioned. As for civil society organizations, the tragedies in the Aegean are trapped in an absolute human rights reference frame. Turkey and Greece are not the only sides to this problem — it is a “mutual” issue that concerns the entire world. Immigrants comprise the largest groups of people in the world and more people are becoming immigrants. Emigration today is more an escape from conflict and wars than a search for a new life. But it’s worth mentioning that the cause of most wars today is poverty, which creates a ground for conflict and displacement, especially in places where there is a vast difference in standards of living. Certainly there is no magic spell that can resolve this issue, but if half of the global alliance formed around the disapproval of emigration formed around other matters, this issue would not be such a thorny problem. The global disturbance with immigration propels more countries to come together and reach an agreement than any other issue. Precautionary measures based on global cooperation must be taken until the real factors that cause people to become emigrants and refugees are resolved. Instead of trying to prevent emigration and convincing immigrants to stay home, more investments need to be made in countries that cause emigration. Lastly, it’s also important to point out that emigration is a very rational choice and a natural human right. It would be a grave injustice to deprive people of this right. In order for people who are forced to emigrate to continue their life in an honorable fashion, we must not withhold this right from them. Let me conclude with a statement that suits Immanuel Kant’s description of hospitality: Just as emigration is a natural right of every citizen, this right must be respected and these people must be welcomed inside. Both the Pagani 17-year-old refugee abuse case AND Mohammad Kamran’s death case considered “cold cases”. This a translation of this Nov 11, Avgi article, about this recent case of immigrant abuse in Pagani and the legal developments on Kamran Atif’s death . Thanks to Efi for her work. The assault on the 17-year- old refugee is a “cold case”. According to newspaper Avgi’s sources, during the preliminary investigations conducted with regards to the assault case, Mytilene’s state attorney could not find sufficient evidence leading to possible prosecutions of police guards in the Pagani refugee camp. Thus, the case is considered cold, and all preliminary investigations regarding police officials are going to be archived. The manner in which the case is concluded, confirms the fears of various bodies and organizations that an abuse case would be covered- up by the police forces. It is claimed that witnesses in the Pagani camp were offered “pink cards” in return for their silence, and were sent to Athens, where it is impossible to be traced. Moreover, questions arise with regards to the contradictory conclusions after Mr. Khantar’s examination. According to his attending physician’s statement, injuries and traumatic lesions were found on his head, back area and hands; however, the medical examiner concluded that his injuries were older than the day of the alleged police assault. The police assault has allegedly taken place in the afternoon of October 22nd, in the Pagani refugee camp, just a few hours after Mr. Spyros Vougias, who is the undersecretary of the Ministry of Citizen Protection, visited the camp. 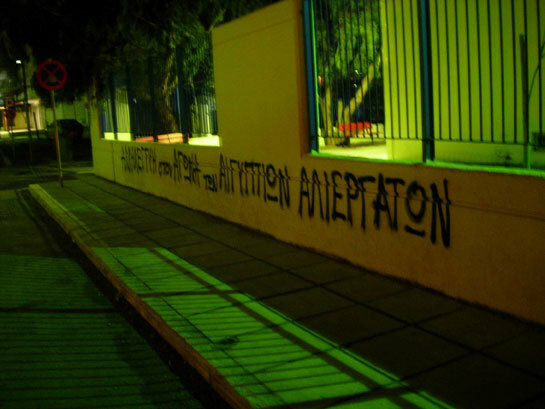 After the event was made public, the Ministry of Citizen Protection ordered a preliminary investigation of the case, which was conducted by Mytilene’s state attorney. The United Nations High Commissioner for Refugees has made an announcement, pleading for an in-depth investigation of the case and a subsequent prosecution of the people involved. The Greek political party SYRIZA is planning to bring the topic in parliamentary discussion. With regards to Mohamed Kamran’s case, leaked information from the Ministry of Citizen Protection reveal that toxicology tests show Kamran intoxicated; according to the same leak, the post mortem toxicology investigation found Kamran using alcohol and other substances before his death. However, Mr. Fragiskos Ragoussis, Kamran family’s attorney stated that there are no official toxicology test results yet, and that in any case his clients are going to ask for a test re-run, since according to the Greek law the family has the right to appoint an external medical examiner during the autopsy. ATHENS, Greece (AP) — A small boat loaded with Afghan families smashed onto the rocks and sank off an island in the Aegean Sea on Tuesday, causing three immigrant women and five children to drown. The deadly accident highlighted the plight of thousands of migrants who risk their lives every year to reach the European Union. Athens accused neighboring Turkey, from where the vessel set off, of doing little to stop thousands of illegal immigrants from arriving in Greece. Human rights groups, however, urged Greece to improve its treatment of migrants and its handling of asylum applications. The coast guard said high waves swept the flimsy boat with 18 on board onto a rocky shore on Lesvos. Seven men, a woman and a child – all Afghans – swam ashore and were hospitalized for observation. One of the 10 survivors, only identified as a Turkish man, was arrested on smuggling charges. Under Greece’s tough immigration laws, traffickers involved in fatal accidents face life terms and a minimum euro500,000 ($750,000) fine. Later Tuesday, the coast guard rescued another 45 illegal immigrants found abandoned on an uninhabited islet off the island of Anafi in the southeastern Aegean. Lying only five miles (eight kilometers) from Turkey’s western shore, Lesvos is one of the main points of arrival for illegal immigrants, who use rickety boats to slip through a porous sea border dotted with hundreds of islands. Deputy Citizen’s Protection Minister Spyros Vougias said the incident merited an official complaint to Turkey. 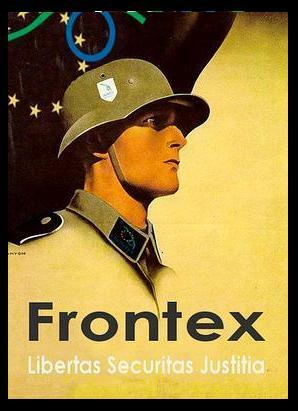 Greece also wants more support from other EU members and has begun receiving assistance from the bloc’s new border protection agency, Frontex. Some 5,500 people were detained on Lesvos in the first eight months of this year, compared to more than 13,000 in 2008. Often fleeing war zones in Asia and Africa, the migrants pay thousands of dollars to smuggling gangs for a long and perilous journey to the west. Accidents at sea are frequent, while migrants trying to enter by land from Turkey face border minefields that have claimed at least 82 lives since 1994. A spokeswoman for the United Nations refugee agency said Tuesday’s drownings showed that migrants from war-torn countries are not deterred by strict anti-migration policies. “As long as there are wars and violations of human rights, people will continue to be desperate and risk their lives,” U.N. High Commissioner for Refugees spokeswoman Ketty Kehagioglou said. Kehagioglou urged the government to improve the screening process for asylum seekers and create better migrant holding facilities. She said UNCHR officials who visited the Pagani center on Lesvos last weekend saw some 700 people held in “appalling, outrageous” conditions. The Socialist government, elected three weeks ago, has pledged to improve migrants’ rights. 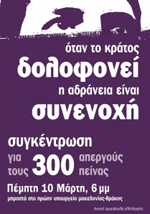 Photos taken this summer at Pharmakonisi, Aegean, published at Athens Indymedia by Syspeirosi Anarchikon. 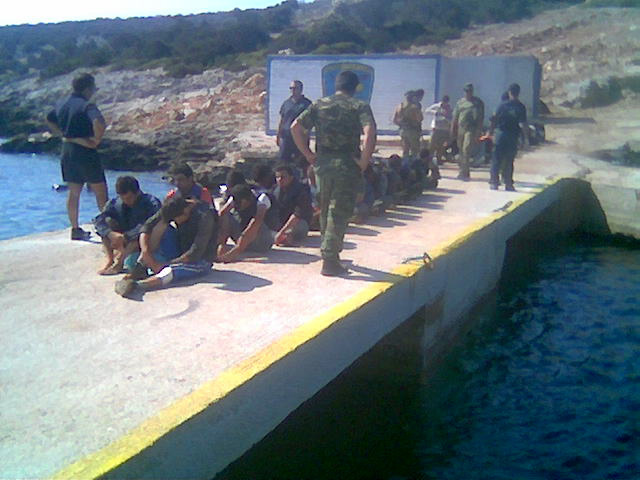 Between August and September 2009, Human Rights Watch interviewed 16 migrants who had been arrested on Samos, Symi, and Chios Islands, and the port towns of Patras and Igoumenitsa. The Greek authorities transferred them to detention centers close to the land border with Turkey and held them in the border police stations of Soufli, Tichero, and Feres, as well as in the Venna and Fylakio-Kyprinou (Fylakio) detention facilities. Two detained migrants described to us how Greek police forcibly pushed them across the river into Turkey from where Turkish authorities sent them back to Afghanistan. We were one group of 12 persons they took out [from the detention center]. They drove us in a car…. for maybe one and a half hours. We arrived in the forest around 9 p.m.; they kept us there until midnight…. They told us not to move, otherwise the Turkish police would find us. It was [next to] a small river…. This side was Greece, the other side was Turkey. The boat was a metal boat, a long metal boat. Inside the boat there was one policeman; he started the engine and after we arrived to the other side he told us to get out quickly and the boat went straight back. When the [Turkish] police arrived two of us explained what happened. The Turkish police came back to that place with us and said we should sit and that more persons might be coming. But the Greek police didn’t send more people. We were for 12 days in [Turkish] detention. They beat me too much…. When the Turkish police beat me they said I should call my family to send me money to return to Afghanistan. I asked them not to send me back to Afghanistan, because I had problems. I asked them to keep me. But they didn’t care. Near our house are Taliban; they are close…. I’m scared all the time. I’m a tenth grade student but I can’t go to school. The other person pushed back told us he was arrested on Samos Island, transferred to Fylakio detention center, expelled in a group of 45 or 50 persons, arrested by Turkish police, and taken to a detention center in Edirne: “I stayed for one week in Edirne. There were a lot of persons who had been deported from Greece. There were Afghans, Pakistanis, and Sri Lankans.” Human Rights Watch visited that detention center in 2008 and found conditions there to be inhuman and degrading. Forty three persons were taken away from my group [of 91 persons]. One Iraqi had a friend among those [taken away]. He called Iraq from the detention center, and that friend said he had been deported. That Iraqi was part of our group. We were all in the same cell. First [Greek police] asked them to sign something. … it was around the evening time, around 6 p.m. maybe. Then they searched them… the police took away everything they had: toothpaste, papers written in Greek, they took it from their pockets… After that they were taken into a truck without windows. It was completely closed, an army-colored truck. People entered from the back. I saw the truck with my own eyes and I saw how people entered. Each time a new group [of detainees] arrived the truck came…. 67 persons arrived in one group and they took away 57 persons from that group…. Six or seven times new groups arrived…. For a small group the white van came, for a big group the truck came. Greece effectively has no asylum system. It recognizes as few as 0.05 percent of asylum seekers as refugees at their first interview. A law adopted in July abolished ameaningful appeals procedure. The effect of the new law is that a person who is in need of international protection as a refugee in Greece is almost certain to be refused asylum at the first instance, and having been refused has little chance of obtaining it on appeal. The new law leaves asylum seekers with no remedy against risk of removal to inhuman or degrading treatment, as required by article 39 of the EU’s procedures directive and articles 13 and 3 of the European Convention on Human Rights. As a result of this legislative change, the United Nations High Commissioner for Refugees (UNHCR) withdrew from any formal role in Greece’s asylum procedure. Many of those we interviewed said they did not want to apply for asylum in Greece because they had heard that Greece rejects everyone. Some believed mistakenly that they could apply for asylum in other European countries. Access to legal counsel or interpreters is virtually impossible in detention centers in the north and those in need of protection may be unable to access asylum procedures. An Afghan detainee held in Soufli border police station, for example, was informed about her rights in English, a language she does not understand. Apart from sporadic visits by a lawyer from the Greek Council for Refugees operating under a government agreement, no lawyers or organizations offer pro-bono legal aid in Greece’s northern region. Athens-based lawyers who offer pro-bono legal aid told us they are not able to access and speak to detainees in the north unless they present to authorities the names of persons detained. Even when they have the names of detainees, police in the Evros border region might ask them to obtain an additional permit from central police authorities to see persons detained; or police may not respond to their query whether a certain detainee is still held there. Conversations between lawyers and detainees furthermore are rarely confidential and lawyers said that police interrupted their talks and asked them to finish their conversations with detainees. Even those with access to legal aid and wanting to apply for asylum are not necessarily able to access the minimal procedures that do exist. According to the Greek Council for Refugees, on July 30, Greek police handed over 40 Turkish citizens, among them 18 asylum seekers, including four unaccompanied children, to their Turkish counterparts under a bilateral readmission agreement. Police on Crete, where the group initially arrived, refused to receive their asylum applications despite interventions by local lawyers. The asylum seekers were deported even though the Greek Council for Refugees intervened with the responsible Ministry. In addition, on July 17, Human Rights Watch saw more than 1,000 asylum seekers lined up all night at Athens’ main police station trying to file asylum claims, largely in vain. Greece is bound by the international legal principle of non-refoulement not to expel or return a person to a place where he or she would face persecution, torture, or inhuman or degrading treatment. This obligation applies not only to direct returns into the hands of persecutors or torturers, but also to indirect returns to countries from which persons are subsequently sent to a state where they face such threats. The circumstances of what constitutes inhuman or degrading treatment for an unaccompanied child may differ significantly from that of adults and Greece is obliged to take “measures and precautions” against such treatment when returning a child. Greece is also bound under European and international law to protect migrants from inhuman and degrading treatment while in Greece. Persons held in detention centers in the north described to us conditions that would violate these obligations. Furthermore, unaccompanied children were detained jointly with adults across detention centers in the north, itself a violation of binding international standards. People detained at the Soufli border police station, for example, told us that two detainees have to share one dirty mattress and that they are never allowed to go outside. One detainee, a 16-year-old girl in the company of her husband, told us that she felt constantly intimidated in a cell with more than 20 adult men. People detained at Tichero border police station told us they slept on dirty mattresses or on the floor without blankets, and that the bathroom was filthy, with an unbearable smell. Those held in the Venna detention facility said the place was infested with cockroaches and mice, and they complained about a lack of enough warm clothing. Those detained included a disabled man who had lost one arm and could not fully use his other arm but was subjected to the same regime. With the exception of Fylakio detention center, the conditions were compounded by a lack of access to medical care. Except for those held at Venna, those interviewed said they received only two meals per day, which they said was insufficient. Detainees held at Fylakio detention facility spoke of comparatively better, albeit overcrowded, detention conditions. All persons who had been held there, however, said they experienced or witnessed violence and ill-treatment by guards. Two described an incident in which guards allegedly beat up an Arabic-speaking detainee after he tried to escape. I saw an Arab who tried to escape. Police caught him and beat him up badly. They took him to the telephone room and covered the window with black plastic. Afterward I went to make a phone call and saw that guy with blood on his head and in handcuffs. I saw once with my own eyes that three policemen beat one person. They beat him in the corridor because he quarreled [with others]. They beat him for a short time with batons, with their hands, and they also kicked him. We received additional allegations of police violence from persons detained at Tichero and Feres border police stations, and from a person held at an unknown location near Komotini. Several persons interviewed said it was forbidden to make phone calls from Soufli and Tichero border police stations. One detainee at Soufli told us: “One detainee said if you have a lawyer you might get released but we don’t have a telephone so how can we contact our family to get us a lawyer?” Another person said that although detainees held at Fylakio detention centers were permitted to make phone calls on Mondays and Thursdays, no calls were allowed during the first ten days. Asked whether they tried to file a complaint, one detainee told us: “I never complained to anybody. We didn’t complain. It wouldn’t have helped if we’d said anything. The captain would have told us to stay quiet.” Although the police chief in charge of the Fylakio detention facility assured us he would investigate any allegation of ill-treatment brought forward by detainees, he added that he has never received any complaints. Human Rights Watch has repeatedly called on the European Union to hold Greece accountable for its violation of European asylum standards, including while recent arrests and transfers were still ongoing. Yet, despite having a mandate and a duty to enforce member states’ implementation of EU legislation, the European Commission has not spoken out against Greece’s effective abolition of the right to seek asylum or to appeal rejected asylum claims, or its abusive detention and expulsions of migrants, including children. In fact, Jacques Barrot, vice-president of the European Commission responsible for justice, freedom, and security, was on an official visit to Greece when the new presidential decree was published that effectively eliminated the appeals procedure in violation of binding EU standards. The European Commission’s failure to call publicly for Greece to remedy these serious violations of EU standards and European and international human rights and refugee law sends a worrying signal that abuses may go unchecked. It is vitally important for the Commission to take the opportunity of a new administration in Athens to press in the strongest terms for immediate and fundamental reform of Greece’s asylum system, meaningful access to protection, and an end to abuse. The Commission should without delay issue a reasoned opinion on Greece’s current breaches of EU standards on asylum and migration, identifying the steps needed to bring Greece back into conformity with EU and human rights law. It should also make clear to Athens that unless the new government takes those steps, the Commission will refer its failure to uphold EU standards to the European Court of Justice. In two reports published in 2008, Human Rights Watch further called on European governments to stop sending migrants and asylum seekers, including unaccompanied children, back to Greece under the Dublin II regulations. We concluded that Greece violated both EU standards and international human rights law by holding migrants in unacceptable detention conditions, by preventing persons in need of protection from seeking asylum, and by failing to protect unaccompanied migrant children. Under the European Union’s Dublin II regulations, the country where a person first entered the EU is generally held responsible for examining that person’s asylum claim, whether or not the person applied there. While the Dublin II regulations are premised on the notion that all EU member states have comparable asylum and migration practices, there are wide disparities, with some countries like Greece effectively offering no protection at all. This disparity underscores the importance of reforming the Dublin system while at the same time ensuring that EU member states are held to account for their failure to respect their obligations under EU law. Only then can the EU take meaningful steps toward creating a common European asylum system. Issue a public statement committing the government to treating migrants apprehended in Greek territory in a humane and dignified manner. Guarantee all migrants unhindered access to the asylum procedure and protection from refoulement. Immediately ensure that the practice of illegal expulsion across the Evros River be stopped; carry out an investigation leading to identification and levying of appropriate sanctions of officials involved in such illegal acts. Rescind Presidential Decree 81/2009, create a functioning asylum system in which trained staff assess asylum claims on the basis of confidential and private interviews, and allow for a fair and independent review of appeals. Refrain from detaining unaccompanied migrant children and from summarily deporting them without prior assessment of the risks they face upon return. Create sufficient number of care places for all unaccompanied migrant children in Greece. Consider the granting of temporary residence for unaccompanied children on humanitarian grounds, as provided for in article 44(c) of Law 3386/2005, to protect them from repeated arrest and detention until a durable solution in their best interests is found. Close substandard detention centers and open new facilities ensuring adequate space, cleanliness, recreation, access to health care, and legal and family visitation necessary for humane conditions of detention. Migrants should only be detained as a last resort, when actual proceedings for their deportation are ongoing, and when it is the only method necessary to secure persons’ lawful deportation, and when the necessity of detaining them is subject to regular review, including by the judiciary. Asylum seekers should not be detained. Ensure full access for the UN High Commissioner for Refugees, Human Rights Watch, and other reputable organizations to all migration detention facilities, Coast Guard vessels and facilities, and to entry and border points and the border region. Human Rights Watch, Greece/Turkey: Stuck in a Revolving Door: Iraqis and Other Asylum Seekers and Migrants at the Greece/Turkey Entrance to the European Union, November 2008, ISBN 1-56432-411-7, http://www.hrw.org/en/reports/2008/11/26/stuck-revolving-door-0, p.6. Human Rights Watch interview with Marianna Tzeferakou and Danai Angeli, Athens, September 6, 2009. Email correspondence from Greek Council of Refugees to Human Rights Watch, August 21, 2008. Mubilanzila Mayeka and Kaniki Mitunga v. Belgium, (Application no. 13178/03), October 12, 2006, available at http://www.echr.coe.int/, para. 69. Human Rights Watch interview (S-11-09 and S-12-09), September 10, 2009 (names and place withheld). Human Rights Watch interview with (S-13-09), September 11, 2009 (name and place withheld). The European Court of Human Rights held in a recent judgment that detention conditions at Soufli border police station amounted to inhuman and degrading treatment. S.D. v. Greece, (Application no. 53541/07), June 11, 2009, available at http://www.echr.coe.int/, paras. 53-54. Human Rights Watch interview (S-2-09), September 7, 2009 (name and place withheld). Human Rights Watch interview (S-6-09), September 9, 2009. Human Rights Watch telephone interview (S-14-09), September 28, 2009 (name and place withheld). Human Rights Watch telephone interview (S-1-2009), August 20, 2009. Another detainee referred to the same incident (S-4-09). Human Rights Watch interview (S-3-09), September 8, 2009 (name and place withheld). Human Rights Watch interviews (S-2-09) September 7, 2009 (name and place withheld). Human Rights Watch interviews (S-6-09, S-7-09, S-8-09), September 9, 2009 (names and place withheld). Human Rights Watch interviews (S-11-09, S-12-09), September 10, 2009 (names and place withheld). Human Rights Watch interview (S-13-09), September 11, 2009 (name and place withheld). Human Rights Watch interview (S-5-09), September 8, 2009 (name and place withheld). Human Rights Watch interview with Giorgos Salamagas, chief of police Orestiada, Fylakio detention center, September 10, 2009.